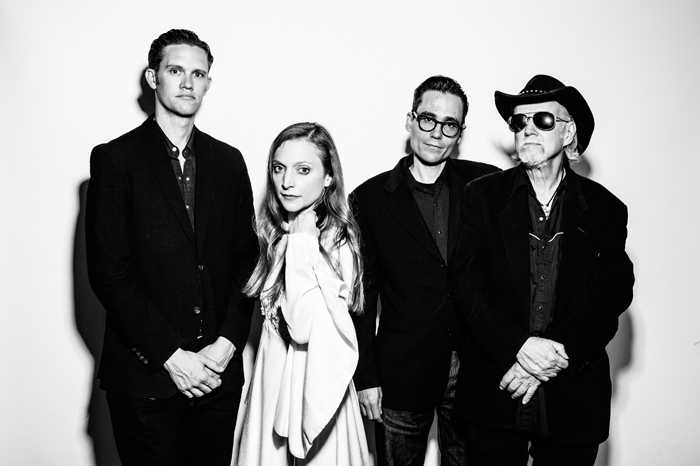 Eilen Jewell and her band perform at PitchFork Social on Salt Spring on Monday, June 25. The next PitchFork Social concert features a scintillating act whose music seamlessly spans roots-rock, blues and country genres. Eilen Jewell and her band will perform in the PitchFork Social series at Bullock Lake Farm on Monday, June 25 at 7:30 p.m.
“Packed with vivid lyrics, steel guitars, and hot licks, Jewell’s Americana-driven brand of country music sounds tailor-made for sweltering, stagnant summer nights,” writes Eric Renner Brown of Entertainment Weekly. “Once you hear her, you can’t help but stick around for more,” notes Pollstar. Pre-show dinner sales begin at 5:30 p.m. and, as always, the Thirsty Islander beverage trailer will be on site, or people can bring their own alcohol to enjoy. Tickets are available through the PitchFork website.